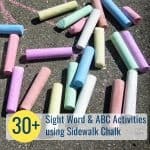 Here’s an engaging Llama Llama activity for you that’s just right for preschoolers and early kindergartners. It goes with a brand-new Llama Llama book inspired by the late Anna Dewdney. Illustrator JT Morrow did a remarkable job imitating Dewdney’s artwork. The colors and details and even the new characters fit right in with the originals. Dewdney’s life partner, Reed Duncan, wrote the story. His careful rhythm honors Dewdney’s trademark style, and his background as a reading teacher shines through too. This book will be a wonderful back to school book for preschool and kindergarten classes. I worried that the book would feel like just a commercial extension of the Llama Llama brand. I’m so relieved to find that it doesn’t. Instead, it is a caring continuation of the characters Dewdney lovingly created. Sweet baby llama is growing up, and off to school. He even has a little backpack now. The story doesn’t have quite the emotional resonance of the originals, but I think its educational value more than makes up for that. 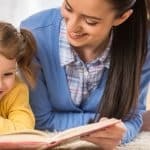 In the story, little Llama begins school and learns about the relationship between letters, words, sentences, and stories. He writes his name and the word Love for his mama. I love to see children “reading” as they develop print awareness. When they can proudly identify stop signs and familiar store names, and begin to recite favorite books, you know they’re on the road to reading! After reading Llama Llama Love to Read you can point out how little Llama is noticing print around him, and talk with your kids about environmental print in their daily lives. 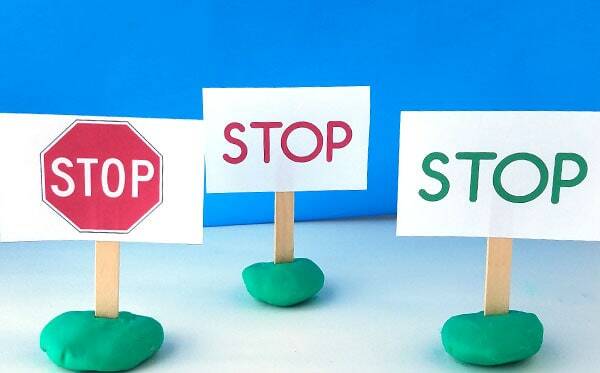 Stop signs are one of the first things many kids notice – although they may attend more to its shape and color than to the squiggly letters in the middle. 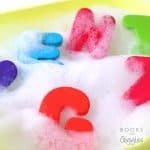 This simple print awareness game can encourage preschoolers and young kindergartners to notice the characteristics of the letters, though. The signs are progressively more reliant on just the print. 1. Print out the signs. 2. 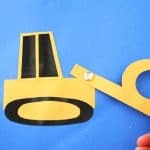 Fold each paper in half, then attach craft sticks using double-sided tape or hot glue. 3. 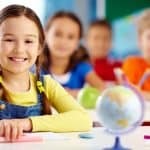 Show the kids the signs and discuss what makes some of them tricky. You play this game much like “Red Light, Green Light,” except instead of yelling out instructions you hold up a Stop or Go sign. 1. 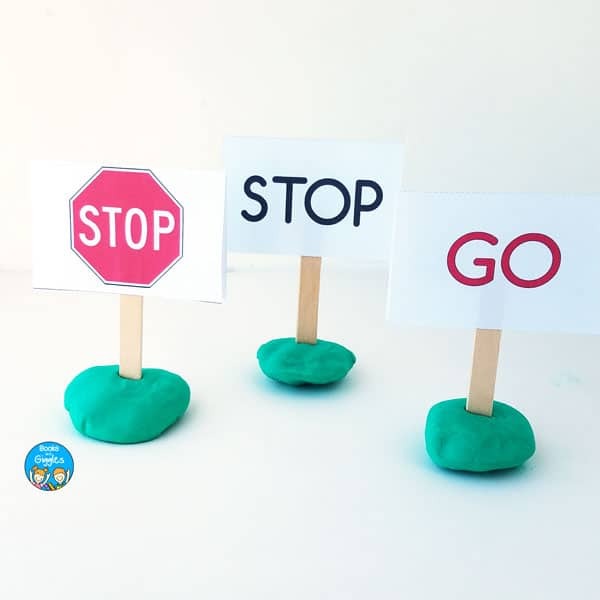 Hold up a sign that reads “Go.” When the children see the sign, they should run (or walk – your choice) towards you. 2. Then, flip the sign around to the “Stop” side. When the children see it, they should freeze. If they keep going, they must take 2 steps backward. 3. Repeat steps 1 and 2 until everyone has the hang of it. Then introduce the next hardest sign, and point out what each side means. Repeat play. You can also print miniature versions of the pages and set up a pretend play scene with toy cars or trains. I used play dough to hold each sign. You could also use modeling clay that doesn’t dry out. The publisher has a special promotion going on right now. For every pre-ordered copy of Llama Llama Loves to Read between now and April 30, 2018, up to 3,000 copies, Penguin Young Readers will donate a book to Jumpstart, an early childhood literacy organization dedicated to helping ensure all kids arrive in kindergarten ready to succeed. You can Pre-order your copy today! 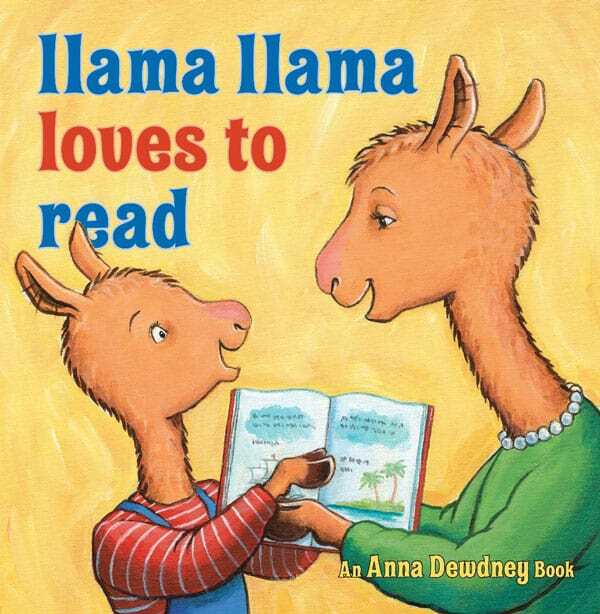 Llama Llama Loves to Read is the perfect hopping off point for lots of early literacy activities. I’ll be linking up several good ones in the coming few weeks.